Acid reflux can negatively impact your day-to-day quality of life. Changing your diet is a simple and extremely effective way to reduce the symptoms and discomfort of acid reflux. When you have reflux and stomach acid is getting the best of you, choose whole (minimally processed) foods with low acidity and fat content. Choosing whole (unbreaded) chicken breast, fish, other seafood and tofu means you'll get the high quality protein your body needs daily without the risk of heartburn caused by fatty foods. Be sure to remove the skin and bake, grill, or broil these foods to keep fat content low. Cleveland Clinic says eggs (as long as they're not fried) and low-fat dairy foods are generally okay to include in a diet for acid reflux, which is good news because these foods are excellent sources of protein and/or calcium. Choose low-fat dairy foods like low-fat or fat-free milk or yogurt, reduced-fat cheese, or calcium fortified soy or almond milk. Choosing fruits and veggies is generally a good thing when you have acid reflux as long as you steer clear of high-acidity foods. 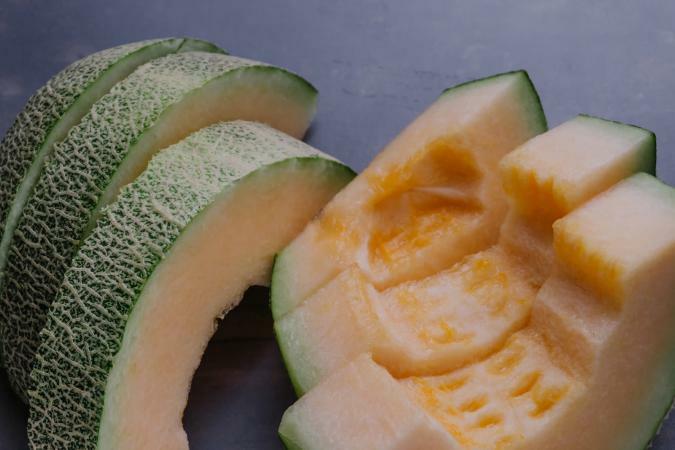 Pick those that are milder on your stomach, says University Hospital, such as watermelon, cantaloupe, honeydew, celery, lettuce, cucumbers, sweet peppers, peas, and dried beans (even fat-free refried beans are usually okay says Cleveland Clinic). Whole grains are given the green light by Cleveland Clinic when you have acid reflux (as long as they're low in fat) because these foods don't aggravate heartburn like acidic foods do. Examples of whole grains that are generally okay include oatmeal, brown rice, whole-grain cereals, quinoa, bagels, and corn tortillas. Oils should be your main fat source when you have acid reflux. However, Cleveland Clinic suggests you limit oils to less than 8 teaspoons daily. Choose olive, canola, or other plant-based oils to round out your meal plan. When choosing drinks to help ease acid reflux, water and decaffeinated drinks (like decaf coffee and decaf tea) are generally best, as caffeine can exacerbate acid reflux symptoms. A few herbs and spices are generally okay for use in people with acid reflux without the risk for aggravation. University Hospital says that fennel and ginger have tummy-soothing effects, and Cleveland Clinic suggests salt, oregano and sage are also generally well tolerated. Steering clear of the following foods can significantly lower symptoms of acid reflux (a burning sensation in your throat and chest). It's probably no secret that greasy fried foods can make symptoms worse, but that's the case when suffering from acid reflux due to high fat content. Steer clear of fried chicken, fried fish, fried eggs, doughnuts, French fries, and other fried foods to help ease discomfort. Many processed meats are high in fat, which can exacerbate acid reflux symptoms. Likewise, these meats aren't the healthiest choice for a variety of other reasons (they're generally high in sodium and preservatives, and low in nutritional value). So steer clear of hot dogs, sausages, bacon, and deli meats to help soothe symptoms. Mayo Clinic says fatty foods can trigger heartburn or make it worse. One reason for this is because fatty foods take longer to digest and remain in the stomach longer than other foods. While your body requires healthy fats daily to function properly, avoid greasy foods, high-fat meats, gravies, salad dressings, and full-fat dairy foods like whole milk, whole-milk yogurt, ice cream, butter, cream, full-fat kefir, sour cream and regular cheese. The high acidity content of citrus fruits causes heartburn and acid reflux to worsen. Avoid oranges, grapefruits, lemons, limes, tangerines, and even pineapple if you're suffering from reflux. Avoid high-acid tomato products as these foods can make acid reflux symptoms more pronounced, says the National Institute of Diabetes and Digestive and Kidney Diseases. 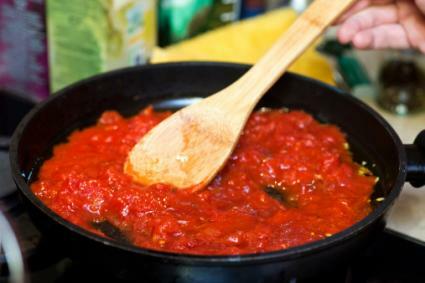 Steer clear of tomatoes, tomato sauces, tomato soup, vegetable juices containing tomatoes, and even ketchup. Mayo Clinic says caffeine aggravates acid reflux, which is a good reason to stay away from regular coffee and tea and regular soda. Even diet sodas can be problematic because carbonation can expand when ingested, causing pressure and pain in your stomach when you're battling reflux. Unfortunately, chocolate is problematic for many people with acid reflux. That's because chocolate contains caffeine and is high in fat. Avoid chocolate milk too. Alcohol is another beverage that can exacerbate heartburn. University Hospital says this is because alcohol stimulates stomach acid production and relaxes the sphincter valve. So steer clear of alcohol when you can. Avoid foods and seasoning that are spicy as these can really set off reflux symptoms. Examples include spicy taco seasoning, hot peppers, chili powder, and other spices that pack punch. Strong-flavored foods (even if they're not classified as spicy) can also be problematic. Cleveland Clinic and Mayo Clinic suggest avoiding peppermint, mint-flavored coffee, vinegar, garlic, and onions as these foods can be acid reflux triggers. If you're prone to acid reflux, make dietary changes to see if doing so relieves symptoms. Other things you can do to reduce reflux are avoiding large meals (eat small frequent meals instead), don't eat right before bed, lose weight if you're overweight, avoid tight clothing, don't lie down after meals, quit smoking, and elevate the head of your bed.